Since the independent release of his breakthrough solo piano collection Tender Ritual on the Unspeakable Freedom Music label, Jim has been acknowledged as one of contemporary music's most engaging composers and performers. With 15 albums to his credit, Chappell has toured world-wide to sold out audiences, his concerts being filmed and nationally televised. 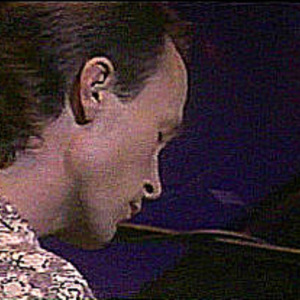 Several of Jim's albums have received heavy national and international airplay on Smooth Jazz format radio stations, with Chappell's Over the Top making it to No. 1 on the national charts. With 15 albums to his credit, Chappell has toured world-wide to sold out audiences, his concerts being filmed and nationally televised. Several of Jim's albums have received heavy national and international airplay on Smooth Jazz format radio stations, with Chappell's Over the Top making it to No. 1 on the national charts. Billboard Magazine states: ?Chappell's piano melodies are timeless, moving?captivating?? His music has been used on Good Morning America, The Today Show, Several Barbara Walters' Specials, The Summer and Winter Olympic Games, MTV, One Life To Live, and the Drew Carey Show. Gold medal figure skater Brian Boitano skated to Jim's beautiful piece ?Gone? in a nationally televised Thanksgiving Day broadcast presentation. Chappell was the only music artist to perform at Robert DeNiro's 50th birthday party, where he played solo piano to a hushed and enthusiastic audience of who's who in the film industry.